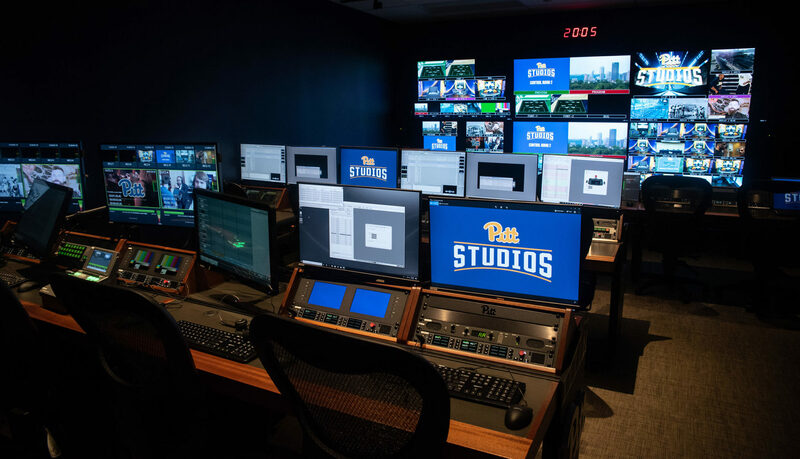 Product Categories Autzen Stadium: LED Video Assets, Scoring, Integrated Digital and Static Signage (including exterior LED Pylon), Control Room Upgrade. 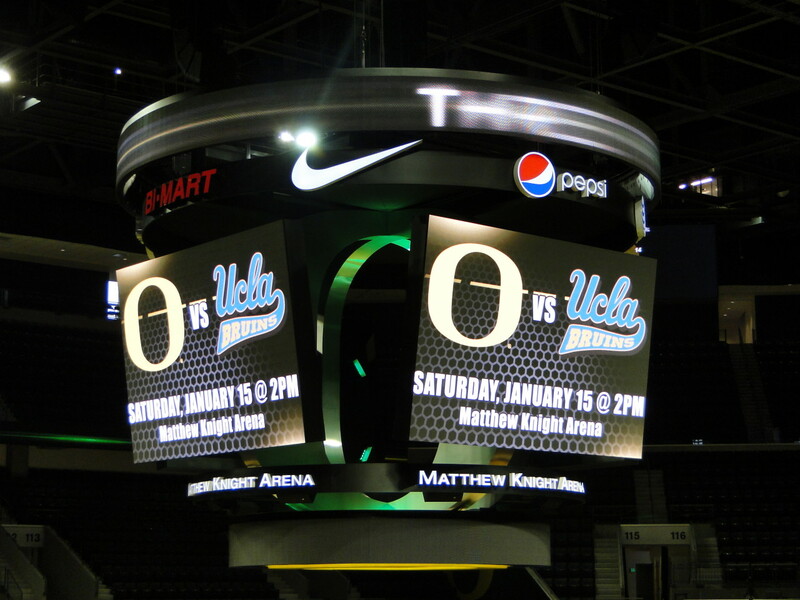 Product Categories Matthew Knight Arena: LED Video Assets, Integrated Digital and Static Signage, IPTV, Control Room. Product Categories PK Park: LED Video Assets. 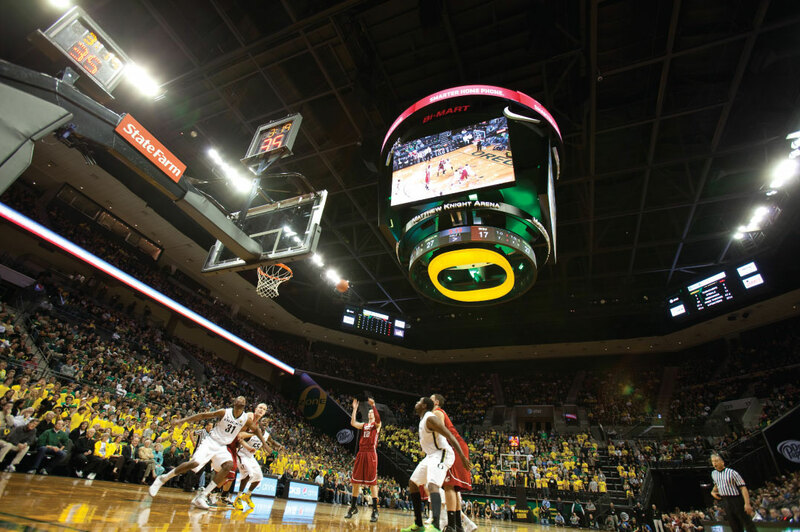 John Hunt of The Oregonian took a tour of the University of Oregon’s new Matthew Knight Arena earlier this week and his report tells us one thing — if you don’t have good seats you’ll still see everything you need to. 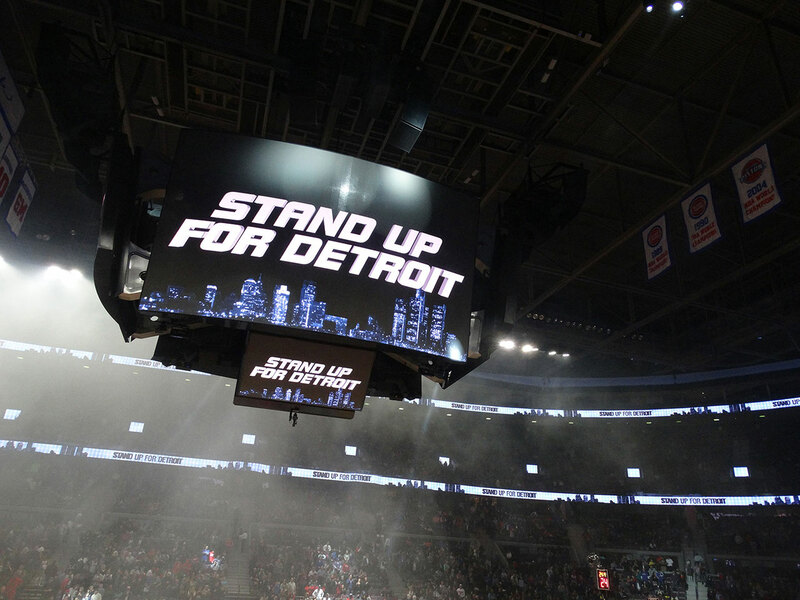 That’s because the arena’s scoreboards are going to be massive. 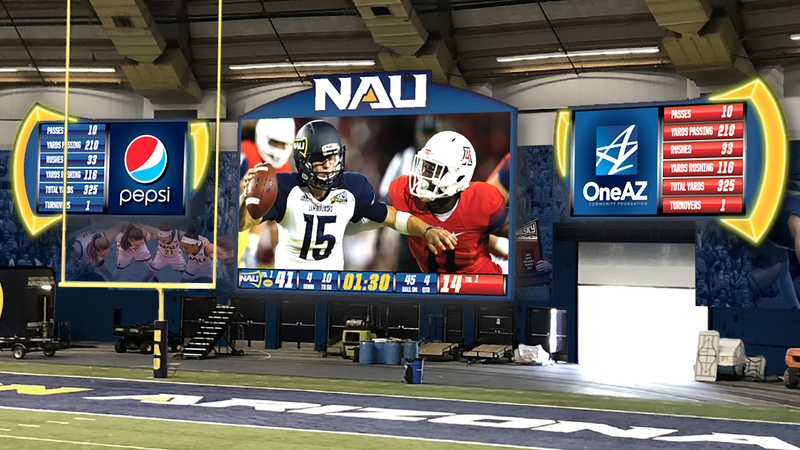 The center-hung scoreboard will boast four screens that will each be 12 feet high by 20 feet wide. The word “giant” is used here because it is. 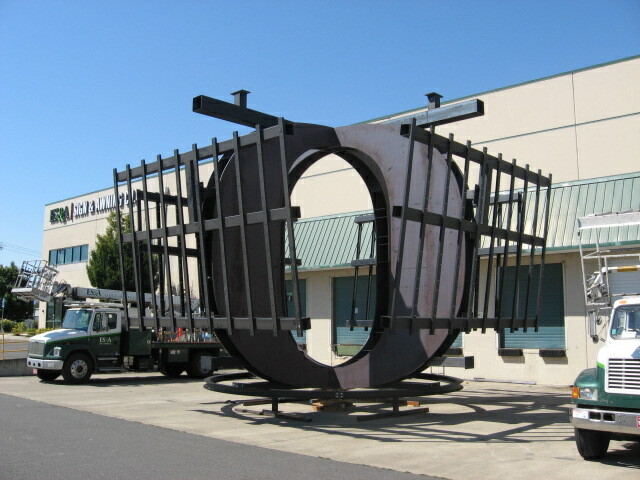 This center-hung scoreboard, when it’s all assembled, will be one of the biggest in college sports – nearly three stories tall and 36 feet wide, according to Oregon’s facts and figures. But the truly impressive thing about this scoreboard, we’re told, is that the screens are high-definition, high as in you can see the beads of sweat on the face high-definition. 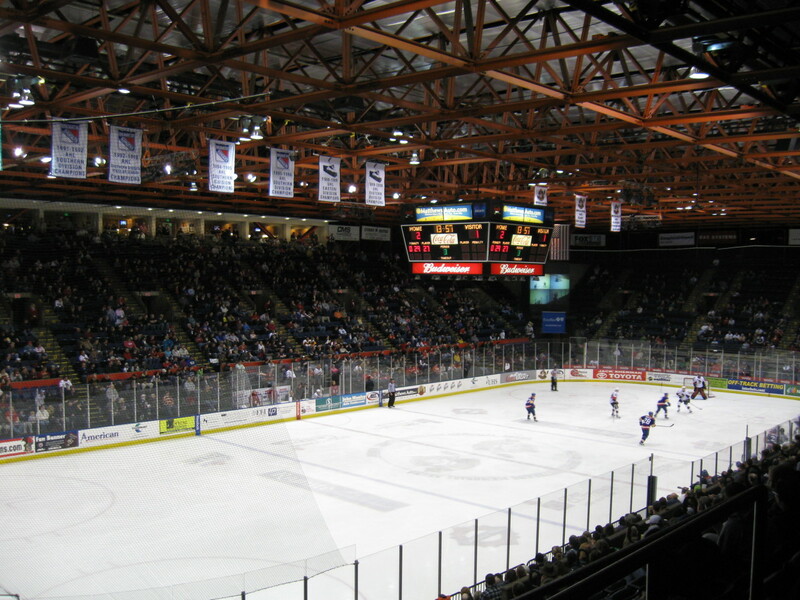 They are 6mm video screens, which means the LED lights (almost 2 million of them) will be six millimeters apart. 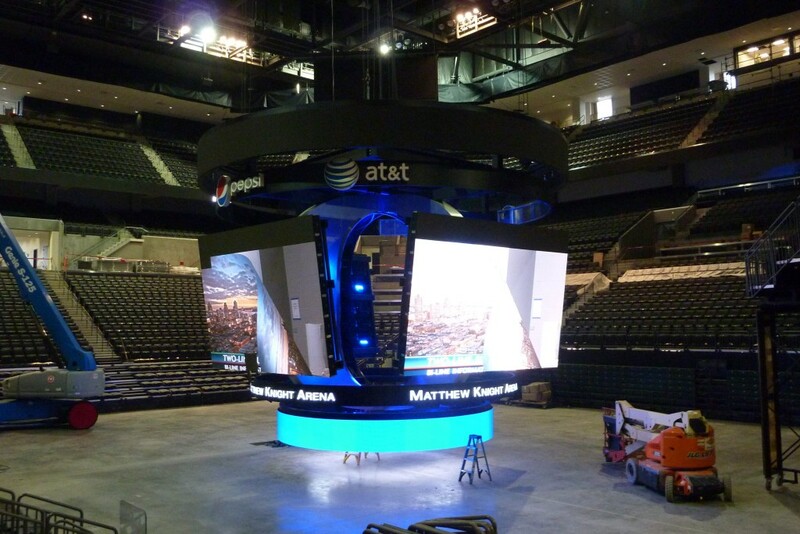 The screens in the $480 million Amway Arena in Orlando are believed to be the only bigger and sharper ones in use. The arena will also have two practice courts, four “bunker suites” near the court (for Phil Knight, Pat Kilkenny and two donors), and LED wrap around the concourse and statistical information boards in each corner of the stadium. 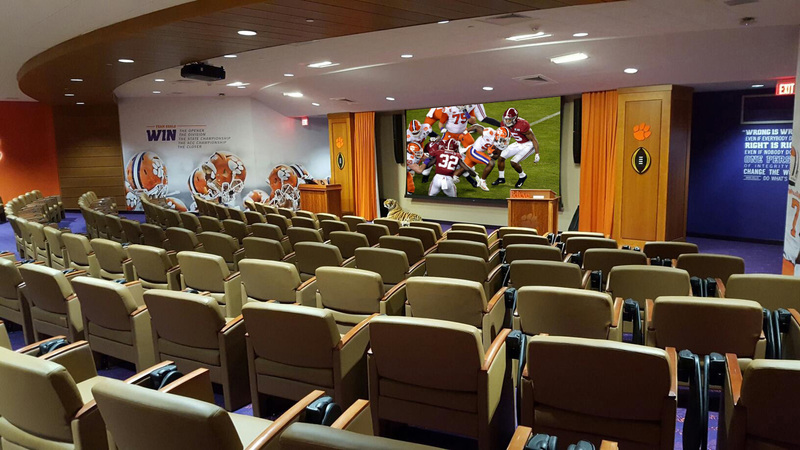 No, this isn’t Cowboys Stadium in the NFL. 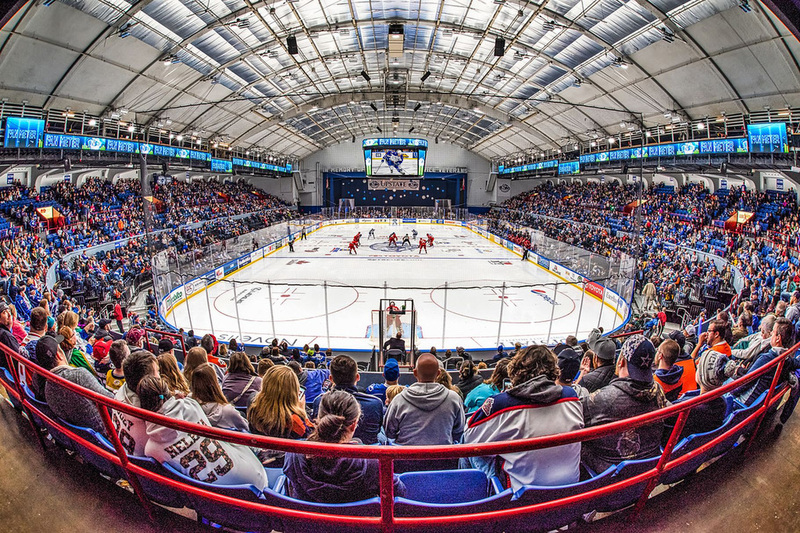 But it could be just the beginning of a major change in the way college basketball hosts its fans.